SEAMAN JOB INFO - Posted/Feb/2019 Parola Maritime Agency opening careers for Filipino seafarers crew join on PCC, Log Bulk, Container Ship deployment March 2019. 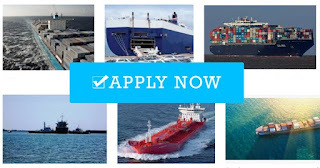 ALL CANDIDATES MUST HAVE AT LEAST 24 MONTHS SEATIME EXPERIENCE ONBOARD THE SAME VESSEL, PREFERABLY WITH VALID US VISA. 0 Response to "Hiring Officers Engineers For PCC, Log Bulk, Container Ship"